Wasps have been served a huge boost with director of rugby Dai Young signing on until 2019 with seven players also committing their futures to the club. Young joined Wasps in 2011 and after a turbulent first year which saw the club narrowly avoid relegation, they have continued to grow and qualified for this season's Champions Cup. 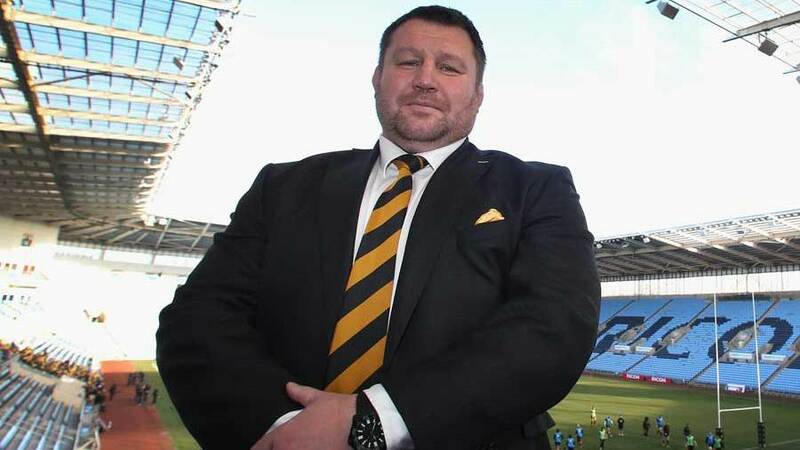 With Wasps now installed at their new home in Coventry, they are targeting new recruits to bolster their squad and they have re-signed seven of their current crop. Josh Bassett, Chris Bell, James Cannon, Carlo Festuccia, Ruaridh Jackson, Simon McIntyre and Phil Swainston, have all committed to the club and Young was delighted to also put pen to paper on a new deal. He said: "I am very pleased to have extended my contract and am excited about the squad we are building here. Life is never dull at Wasps and it has been a roller coaster ride during my four years here to date. However, since Derek Richardson came on board, we finally have security and are now in a position to plan for the future and invest in our squad and training facilities. "We own our own home, which is one of the most extensive facilities in world rugby, we are on course to build word class training facilities and I fully expect to be able to attract more world class players in the years to come. The fan base we are building in Coventry and Warwickshire, combined with our original support, is also creating a real buzz for the team. "It's fantastic to see so many of our current squad committing to the cub and being excited to be part of Wasps future. I truly believe we have the potential to develop into a top four team over the next couple of seasons and we hope to be in a position to announce some new signings in the next couple of weeks." Wasps CEO Nick Eastwood said: "We are delighted to have secured Dai's expertise and leadership for the foreseeable future. There are very few directors of rugby in the game who would have been able to handle so well what's been thrown at him since joining Wasps. He has fought off relegation and kept the squad fully focused during off-field financial difficulties, with the result that he and his coaching team have guided the squad from 11th to 8th to 7th in successive seasons in the Aviva Premiership, and currently sit in the top four. "Over that time, he has recruited shrewdly and performed the role of both director of rugby and head coach. I would like to take this opportunity to thank Dai publicly for going beyond the traditional remit of a director of rugby to keep this club and squad together over the past few years, and for achieving everything he has in testing circumstances. "Wasps have now embarked on an incredibly exciting new era. That commenced with the recent acquisition of the Ricoh Arena and will continue with the development of new training facilities, which will give Dai the opportunity to recruit the players he needs to ensure that the squad continues to go from strength to strength. Dai is a critical part of our new era and I am both thrilled and grateful he has committed his long term future to Wasps."